Photos are meant to be representative of packaging/product you may receive if ordered. Appropriate product information will be printed on the respective labels. FMC reserves the right to change package types at its discretion. The volume ordered can be incremented by 10 grams minimum value. PRONOVA™ UP VLVM is a very low viscosity (<20 mPas) sodium alginate where minimum 50% of the monomer units are mannuronate. Sold per gram, minimum order is 10 grams. 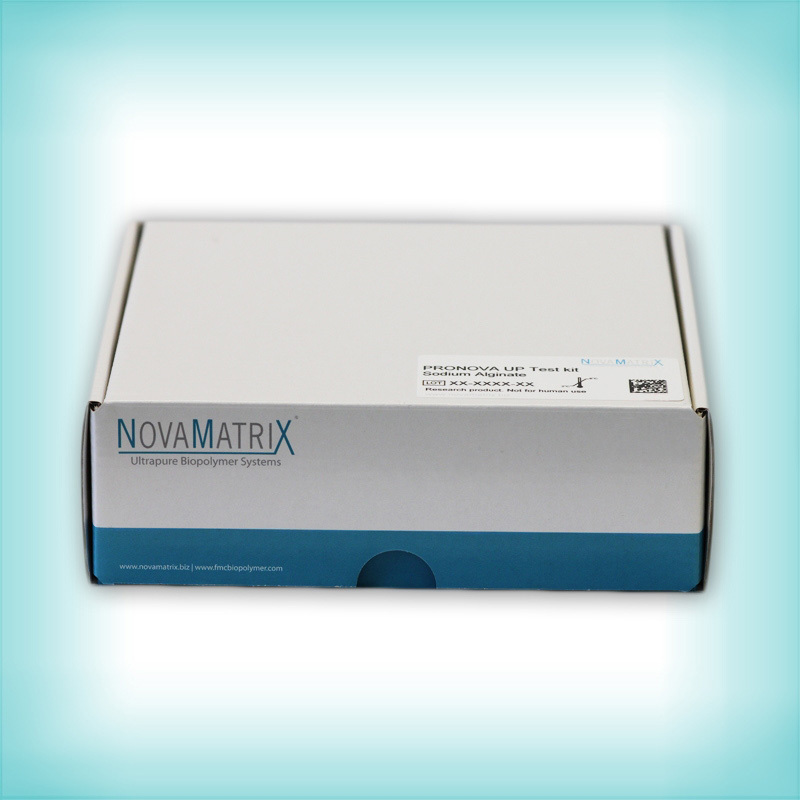 NovaMatrix® produces and supplies well-characterized and documented ultrapure, bio-compatible and bio-absorbable biopolymers for use in the pharmaceutical, biotechnology and biomedical industries. These may include, but not be limited to applications such as drug delivery, tissue engineering, cell encapsulation, and medical devices. For our ultrapure sodium alginates and sodium hyaluronate, we maintain Drug Master Files with the US FDA. NovaMatrix® products are intended to be used in applications which require high and consistent quality provided by our manufacturing, Quality Control and Quality Assurance. NovaMatrix® manufacture PRONOVA™ sodium alginate in our facilities in Norway. We operate according to GMP guidelines; ICH Q7, ICH Q1, ICH Q2 and ISO standards; ISO 9001:2008 and ISO 13485:2003. Furthermore NovaMatrix® holds the Manufacturing License for API’s issued by the Norwegian Medicine Agency (NOMA). Our Sodium Hyaluronate ultrapure products are produced using non-animal origin sources by our partner, Kikkoman Biochemifa Company, Japan, under GMP guidelines; the Pharmaceutical and Madical Devices Act, ICH Q7 and ISO standards; ISO 9001:2008 and ISO 14001:2004. 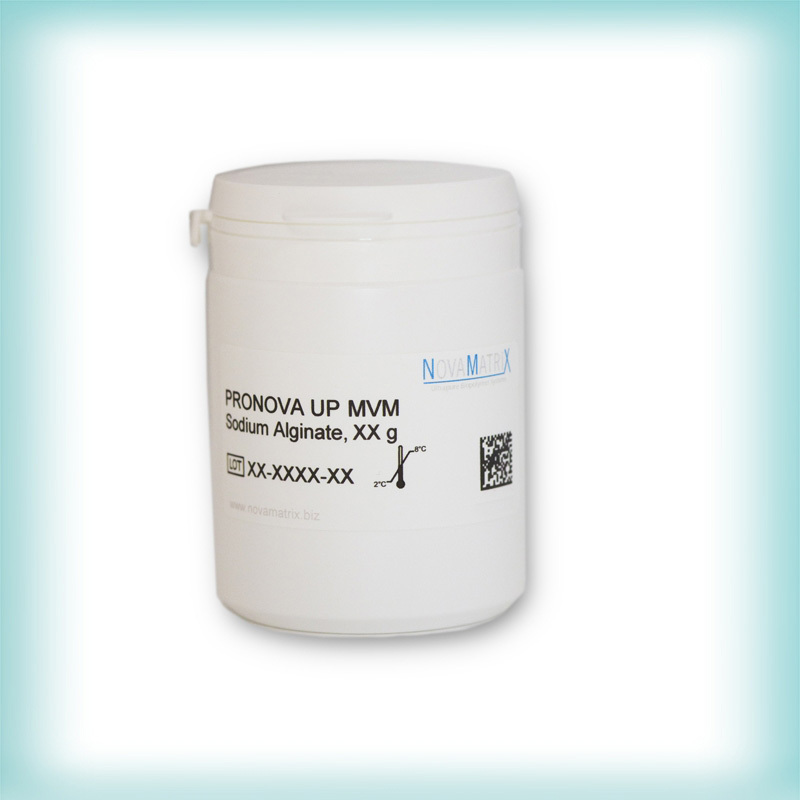 PRONOVA™ UP sodium alginates are manufactured in accordance with GMP, ISO and ICH guidelines. 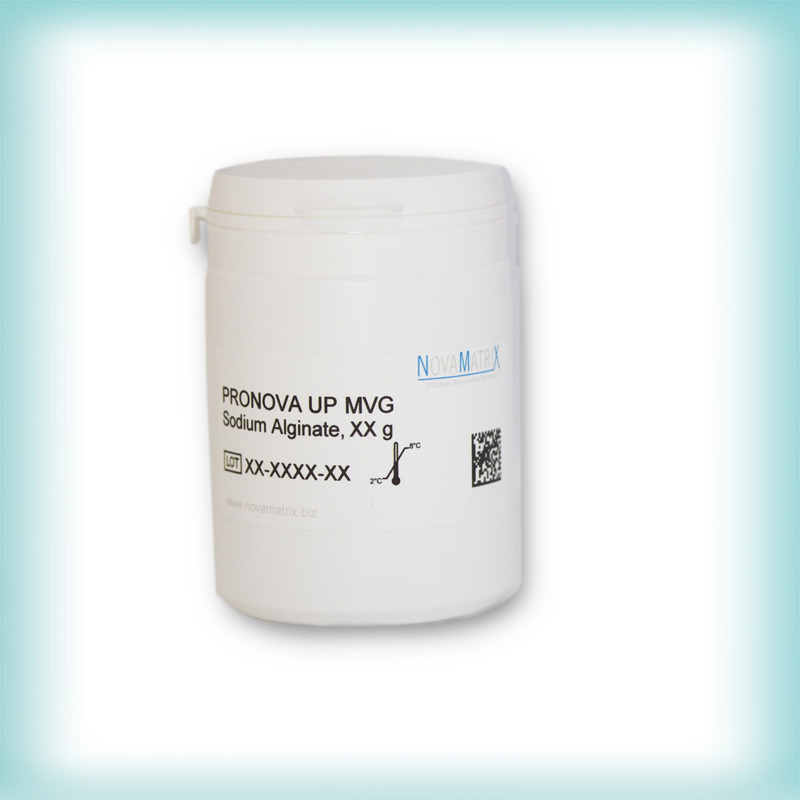 Ultrapure (UP) implies that the products contain low levels of residual endotoxin. The current specification is <100 EU/g. PRONOVA™ sodium alginate products are ideal for a wide variety of pharmaceutical, biomedical, biotechnology and tissue engineering applications. The safety and toxicology profile of ultrapure PRONOVA™ sodium alginate products is described in a Drug Master File submitted to the US FDA. The table below is meant to serve as a summary over some of the studies performed and the conclusions drawn from them. Conclusion : Little or no effect on cell survival and colony-forming ability. Conclusion : No mortality. No abnormal clinical signs, normal weight increase. Conclusion : No mortality in 1 and 10 mg/kg groups, 50% mortality in 100 mg/kg group. No abnormal clinical signs in 1 of 10 mg/kg groups. Conclusion : Oral: No absorption, IV: half-life approx. 4 hr, IP: half-life approx. 12.5 hr, Elimination via urine. anti-adhesion,additives for cryopreservation of cells/tissues, sealants, drug delivery, 3D printing, 3D cell culture, hydrogels, extracellular matrix scaffolds, internal wound healing.